Sottaku Doji, a moment that sometimes happens between a Sensei and his student. 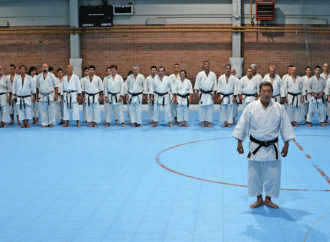 The relationship between a Sensei and his student is often very special because of the amount of time they spend together, because of obstacles that the student overcomes with a proper guidance, because of the values, because of the intensity, because of the high emotions, and I can keep on going. However, despite all this, the “magic moment” in class does not happen often and that’s why Sottaku Doji is so special. When this action occurs simultaneously, something special happens, the chick opens its eyes to the world for the very first time. Now, what’s the meaning of this expression? The literal translation is: “Simultaneous pecking from the inside out”. It refers to the action that occurs between the chick that is about to be born and its mother, so that together they can break the shell of the egg. When this action occurs simultaneously, something special happens, the chick opens its eyes to the world for the very first time. However, if the mother decides to break the egg prematurely, the chick will basically die and, on the other hand, the chick will never be able to get out by itself for more pecks that he tries. This analogy also occurs in Karate or in any other martial art. A few years ago my Sensei Hitoshi Kasuya at a seminar held in Tokyo told us about this expression and its relationship in the dojo. 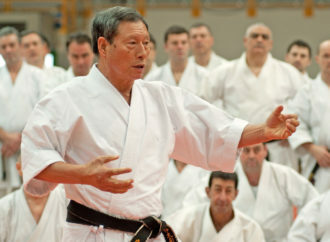 A student may be very keen to learn something specific, for example a special technique for kumite, an effective counter attack, a proper stance or even a jump from a kata, but if his Sensei does not identify that need and he does not dedicate an appropriate quality of time to that student, then the student will not be able to advance technically. It works vice versa. 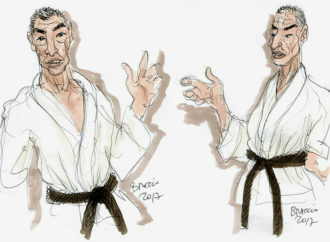 It also happens that a Sensei can have all the disposition, will, time and desire to teach, but if his student does not pay attention to him, if he is not conscious, or if his mind is not in that precise moment, then the student won’t be able to absorb what the Sensei is saying, resulting in a very slow improvement on the best case scenario. That’s why the moment of Sottaku Doji inside the Dojo is so extraordinary. Sottaku Doji happens when the student’s thirst to learn equals the Instructor’s willingness to teach, then for that period of time there are no limits to what both can achieve. Despite this being a philosophical approach of the Japanese culture to the martial art, we can experience this situation at the dojo at any given time. Despite this being a philosophical approach of the Japanese culture to the martial art, we can experience this situation at the dojo at any given time. 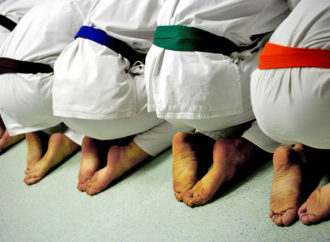 When we go to the dynamics of a real class in a traditional dojo, we can realize that reaching or identifying this level of synergy between Student-Instructor is very complex, among other things because of the number of simultaneous students that are in the class and in many cases the ages of the class groups. That is why it is always advisable, regardless of the number of students you have, to take the time to listen to each one. A strong recommendation is to take the time to evaluate them separately, identifying the real needs of each person, especially when working with children. A child’s attention interval is very short and that’s why the Instructor must do everything he is capable of to maximize his learning. 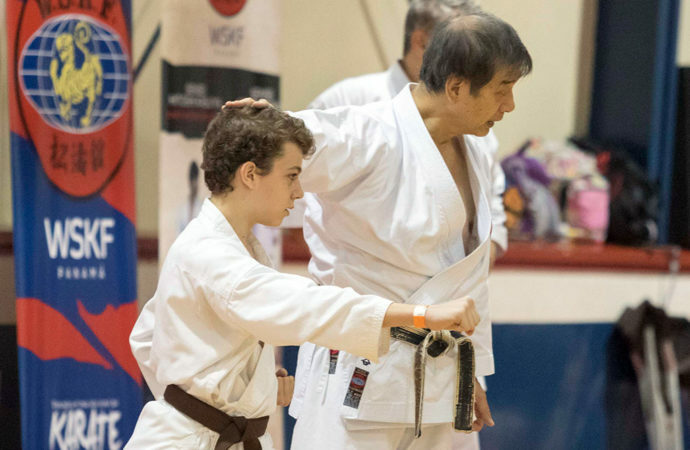 By being aware of this situation and the importance of the connection between them we can make a real impact on that student’s martial art career. Sottaku Doji is special, but only once we know that, can we give as Instructors that key advice or correction that will change the direction of our student forever. Sottaku Doji, un momento che qualche volta si crea tra un maestro e il suo allievo. Il rapporto tra un maestro e il suo allievo è spesso molto speciale per la quantità di tempo che trascorrono insieme, per gli ostacoli che lo studente supera con una guida appropriata, per i valori, per l’intensità, per l’alto livello emotivo e potrei continuare… Tuttavia, nonostante tutto questo, il “momento magico” in classe non capita spesso ed è per questo che il Sottaku Doji è così speciale. Quando questa azione si verifica contemporaneamente, succede qualcosa di speciale: il pulcino apre gli occhi al mondo per la prima volta. Ora, qual è il significato di questa espressione? La traduzione letterale è: “Beccare simultaneamente dall’interno e dall’esterno”. Si riferisce all’azione che si verifica tra il pulcino, che è in procinto di nascere, e sua madre, così che insieme possano rompere il guscio dell’uovo. Quando questa azione si verifica contemporaneamente, succede qualcosa di speciale: il pulcino apre gli occhi al mondo per la prima volta. Tuttavia, se la madre decide di rompere l’uovo prematuramente, il pulcino sostanzialmente morirà e, d’altra parte, il pulcino non sarà mai in grado di uscire da sé per quante beccate proverà a dare. Questa analogia si verifica anche nel Karate o in qualsiasi altra arte marziale. Alcuni anni fa il mio Sensei Hitoshi Kasuya, a un seminario tenutosi a Tokyo, ci ha spiegato questa espressione e la sua relazione con il dojo. 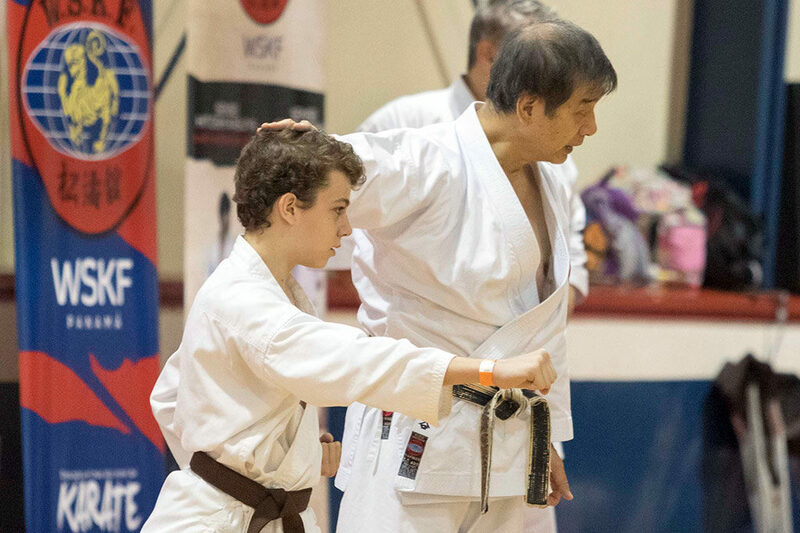 Uno studente può essere molto desideroso di imparare qualcosa di specifico, ad esempio una tecnica speciale per kumite, un efficace contrattacco, un atteggiamento corretto o anche il salto di un kata, ma se il suo Sensei non riconosce questo bisogno e non gli dedica un’adeguata qualità di tempo, lo studente non sarà in grado di avanzare tecnicamente. Funziona anche al contrario. Può succedere che un Sensei abbia tutta la predisposizione, il tempo e la voglia di insegnare, ma se il suo allievo non gli presta attenzione, se non è consapevole, o se la sua mente non è presente in quel preciso momento,egli non sarà in grado di assimilare quello che il Sensei sta dicendo, determinando, nel migliore dei casi, solo un miglioramento molto lento. Ecco perché il momento del Sottaku Doji all’interno del Dojo è così straordinario. Sottaku Doji accade quando la sete di imparare dello studente equivale alla volontà dell’istruttore di insegnare, per cui in quel periodo di tempo non ci sarà limite alcuno a quello che entrambi possono raggiungere. Nonostante questo sia un approccio filosofico della cultura giapponese all’arte marziale, questa situazione può verificarsi nel dojo in qualsiasi momento. Quando osserviamo le dinamiche di una classe reale in un dojo tradizionale, possiamo capire come sia molto complesso raggiungere o identificare questo livello di sinergia allievo-istruttore, tra le altre cose, a causa del numero di studenti contemporaneamente presenti nella classe e, spesso, per le loro diverse età. Ecco perché è sempre consigliabile, indipendentemente dal numero di studenti, prendersi del tempo per ascoltare ciascuno di loro singolarmente. Nonostante questo sia un approccio filosofico della cultura giapponese all’arte marziale, questa situazione può verificarsi nel dojo in qualsiasi momento. È importante prendersi del tempo per poterli valutare separatamente, per trovare il reale bisogno di ciascuno di loro, questo specialmente quando si lavora con i bambini. L’intervallo di attenzione di un bambino è molto breve ed è per questo che l’istruttore deve fare tutto ciò che è in suo potere per massimizzare il suo processo di apprendimento. Solo se saremo consapevoli di questa situazione e dell’importanza di tale collegamento, potremo avere un impatto reale sull’avanzamento di uno studente nell’arte marziale. Sottaku Doji è speciale e, una volta che lo conosciamo, come istruttori potremo dare dei consigli chiave o delle correzioni che cambieranno per sempre la direzione del nostro studente.